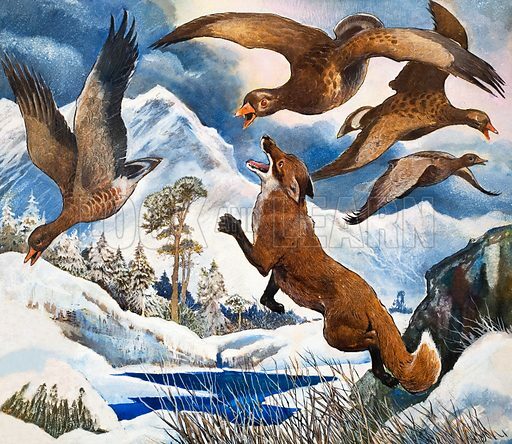 This picture by G W Backhouse was the illustration to a story entitled “Wind from the North” which appeared in Look and Learn in December 1966. This highly atmospheric picture is by G W Backhouse, whose work we are featuring this week. It was used on the cover of issue 461 of Look an Learn (14 November 1970). 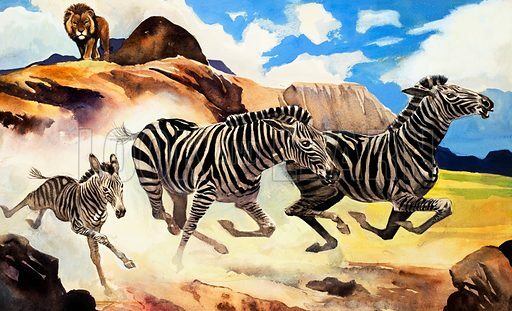 This picture by G W Backhouse is an illustration to a story entitled “The Rivals”, which appeared in Look and Learn in February 1967. 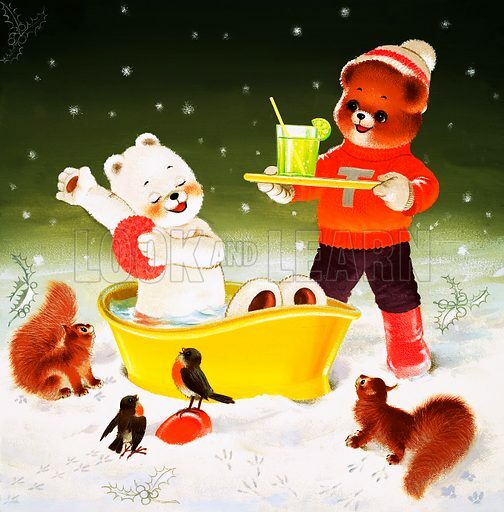 This charming picture – which, with its lime cordial, seems as appropriate to summer as to winter – was the cover of Teddy Bear, issue 3 February 1973. The artist is Bill Phillips. 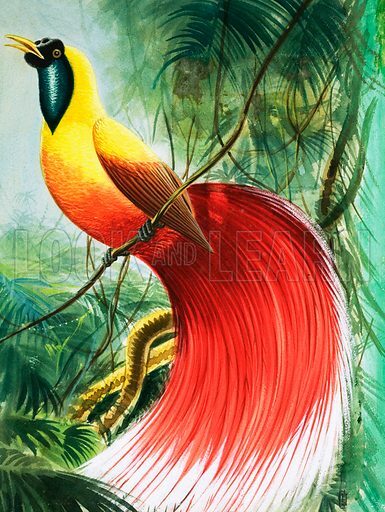 In the special Christmas edition of the best of Look and Learn which we created for the Guardian we included a page that featured this wonderful picture of a red bird of paradise. Now we are able to show the picture, reproduced from the original artwork. Sadly. 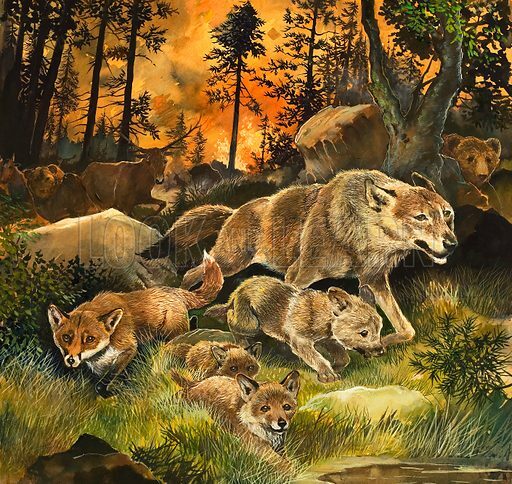 we do not know the name of the artist. 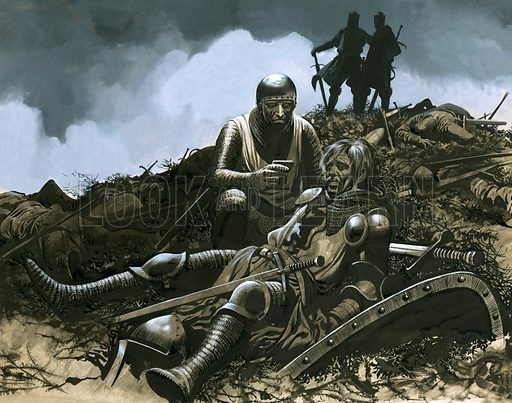 Among the artwork that we have just uploaded to the Look and Learn picture library is this wonderfully tragic scene from the Battle of Crecy, painted by Ron Embleton. 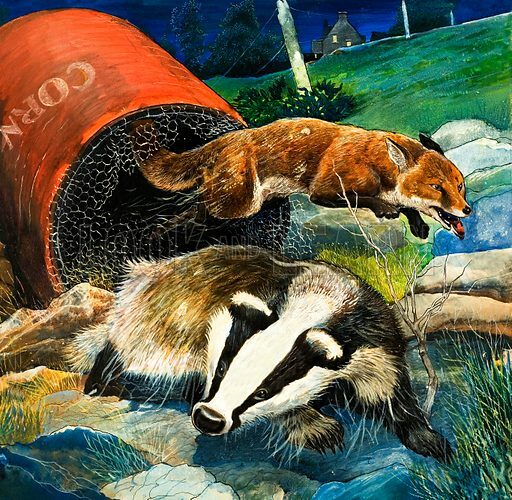 This story illustration is by G W Backhouse whose work we are featuring this week. By way of a conclusion to this week’s focus on the work on Pat Nicolle, here is a wonderful Look and Learn cover illustration depicting the 100 Years War. 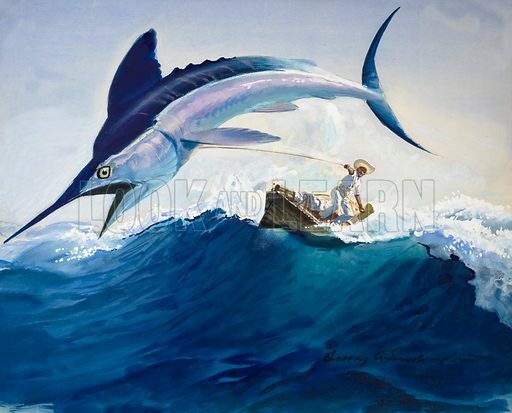 Here is an illustration of Ernest Hemingway’s The Old Man and the Sea. The artist is Henry Seabright, who, as well as working for Look and Learn, did a number of fine pictures for The Bible Story. 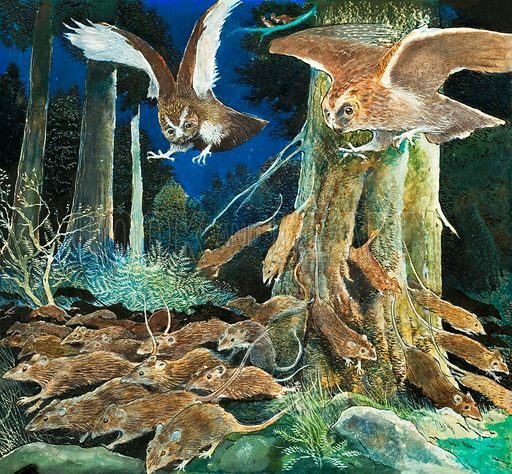 This is the work of G W Backhouse whose sombre – and sometimes downright gloomy – nature illustrations were one of the most memorable visual features of Look and Learn during its early years.